I just want my child to grow up and be healthy. That’s my wish for her. Since Balki was born, she’s always been sick.I’ve been to the hospital with her so many times I’ve lost count. She coughs and has diarrhoea. She gets better for two days and then sick again the next two days. No mother wants to hear those words from her child. Ashta does her best to keep Balki well-fed but she can’t give her daughter the food she needs. They live in the Sahel region; an incredibly hard place to live in. Extreme weather has destroyed their crops and they simply can’t grow what they need to provide a nutritious diet for their children. 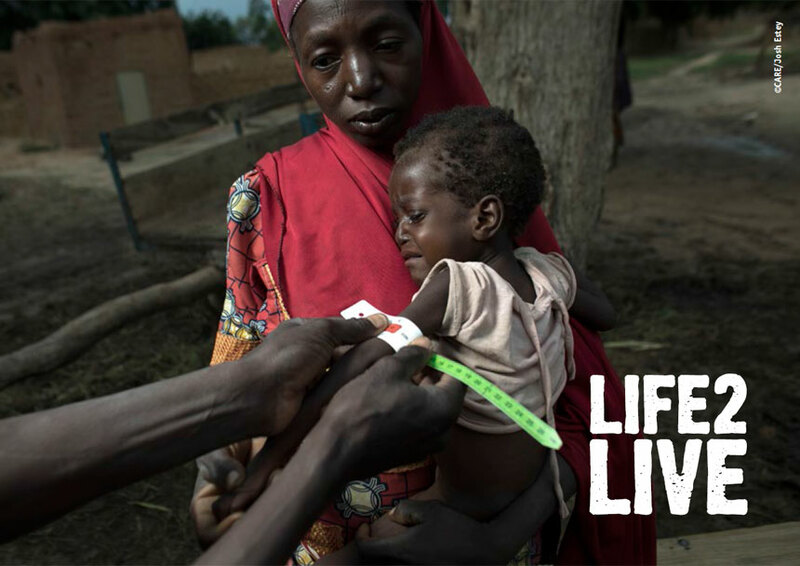 Balki’s arm measures red, which means that she is suffering from acute malnutrition. Persistent acute malnutrition can have an irreversible impact on her life. In developing countries like Balki’s, the number of young children suffering from malnutrition is as much as one in three. In fact, it’s likely that Ashta herself was malnourished when she was pregnant with Balki. It’s something that many mothers in the region face and tragically means their children are often born ill.
Malnutrition is so prevalent in this area that mothers are almost resigned to seeing their children suffer. It’s almost become a way of life. But mothers like Ashta will never give up. 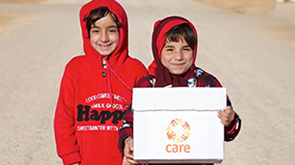 CARE runs a feeding programme in the Sahel which targets the first 1,000 days of a child’s life. Our approach focuses on communities, in order to give families the practical help they need to keep their children healthy. We train mentor mothers who then share what they have learnt with other parents in their communities. The programme includes providing nutritious food as well as teaching recipes to get more nutrients, such as salt and peanut oil, into meals. With your help, we could reach more mothers like Ashta who are desperately trying to keep their children alive. Please donate now and help mothers like Ashta give their children a life to live.